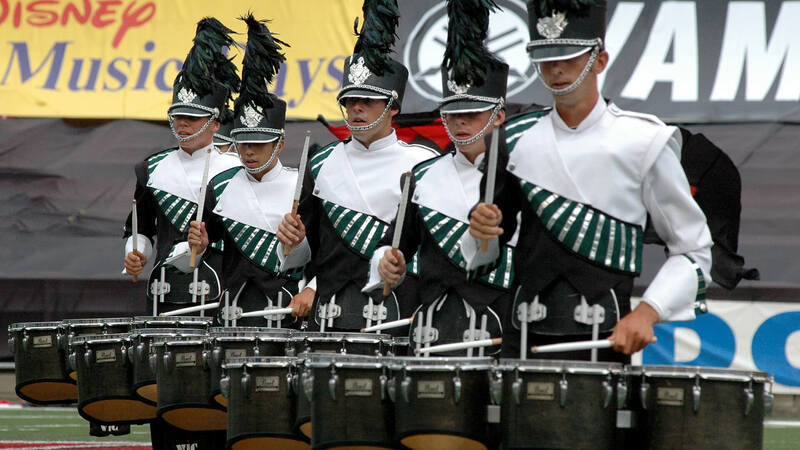 The 2006 Drum Corps International Tour ended in the seventh year that the DCI World Championships were held at Camp Randall Stadium at the University of Wisconsin, a venue that had recently been modernized and expanded. 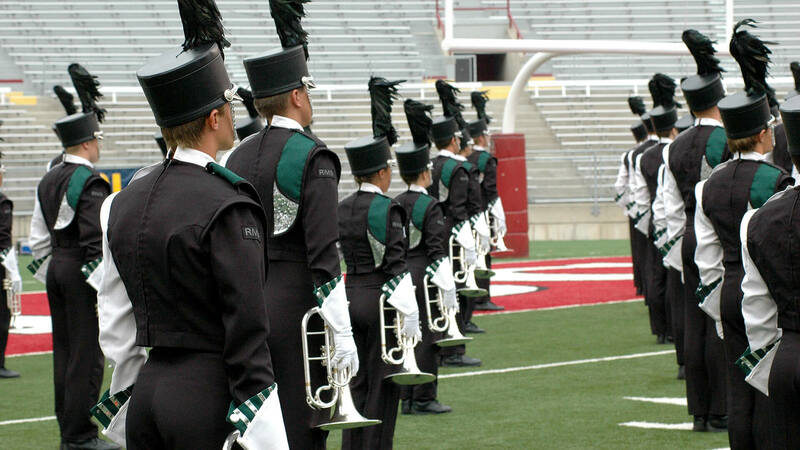 The Colts missed a spot among the top 12 corps advancing to the Finals by one spot for the second year in a row, and after more than two decades in Division II & III competition, Blue Stars returned to Division I (today's World Class) and finished 14th. Capital Regiment and Mandarins captured the last two semifinalist spots. Quarterfinalist corps that didn't advance to the Semis included Southwind in 18th place and Seattle Cascades in 19th. Four years prior, Cascades had popped into 12th place, then finished 15th for two years and placed 17th in 2005. The corps' 2006 production, “Redemption,” replicated one's drift into personal darkness, followed by the striving of the soul for deliverance via the passage of time, as well as the continual perseverance of not giving up on oneself. The corps started the show in the lower left corner of the field and ended in the upper right corner, evolving out of the blackness of despair and its dark colors, passing through shades of increasingly brighter reds and effervescent pinks, and eventually finishing with a sea of glistening whites highlighting the joy of light. In essence, the show could be thought of as traveling through a long and dark tunnel toward a brighter tomorrow. The production opened with Stephen McNeff's “Ghosts,” a 2001 concert band suite written by a British composer best known for his compositions for the theater. While the battery percussionists started the show facing backward along the front sideline, the color guard members extended along a diagonal from near the lower left corner of the field, where the horns were staged in a block triangle. As the show began, a lone guard member with a strip of red on the front of her red-lined dress ran out of the horn block and tossed her rifle, the only one in the show that was red. Upon catching her rifle, the music began with staccato stabs from the front ensemble. Later we would come to realize she represented the personal darkness that plagues everyone at times. The drum line picked up the thunderous and disconcerting pulsation of the fanfare from “The Blackpool Tram,” part seven of “Ghosts.” After unveiling black flags with slices of red, the music switched over to “Allegro molto capriccioso,” the second movement from Béla Bartók's “Second String Quartet,” written by the Hungarian composer during the World War I years of 1915-1917 while he was living alone in Budapest as war swept the region. The disquieting music conveyed a sense of fear and anxiety. Flags became mostly red, with a small square of white in the upper corner that projected hope for the future. Among the white-colored rifles, the single red rifle continued to stand out rather glaringly. Following was the ballad, “Lux Arumque (Light of Gold)” by Eric Whitacre. Originally, the 2000 work was an ethereal Christmas choral composition based on a contemporary poem in English about angels singing to the newborn Christ child. Whitacre had the poem translated into Latin for his choral rendition, and in 2005 arranged the work for wind ensemble. The Cascades played the first half of the work to the backfield, visually accompanied by flags of a lighter shade of pink with the same white squares as before. Some of the earlier red flags remained, but were being phased out as the show entered its phase of optimism. A few black flags with three red squares appeared as the lone color guard member with the red rifle interacted with a member with a white rifle, the two colors of flags and rifles battling it out for the soul of the show. This final piece of music was “Ra!” by David Dzubay, the first movement of “sun moon stars rain,” written in 1997 and based on a 1950 poem by e.e. cummings. Originally titled “summer” before Dzubnay arranged the piece for band in 2002, the piece was said by the composer to represent a ritual of sun worship, “Ra” being the name of the Egyptian sun god in antiquity. At the beginning of the up-tempo race to the end, the color guard's flags seemed to turn pure white as the corps made its way to the right side of the field. But closer inspection revealed the three squares that had been part of each of the prior flags were now various shades of milky white. As the horns travelled backfield to the upper right corner, opposite from how they began the show, most of the guard members dropped their flags as those in the back picked up flags that really were pure white. The two guard members who interacted with each other earlier ran off the field, hand-in-hand, one still clad in black and the other now wearing a white dress. A large white triangular silk covered the brass players as other guard members, in a diagonal line reflective of the start of the show, hid behind large pieces of material stretching from their feet to as high as they could reach. Those silks ranged from solid black, through the shades of red and pink seen earlier and led to the large piece of material covering the horns. The corps had made its way through its migration out of darkness to the shimmering white light of redemption.